When I was a child I was fascinated by the exotic lure of Hong Kong. This ‘Fragrant Harbour’ consisting of a series of islands and a peninsula, brings together an exciting cultural blend of east-meets-west. 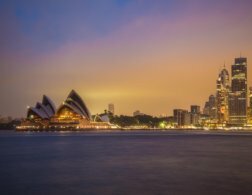 Formerly populated mainly by fishermen, it is now one of the world’s global financial centres and flaunts its impressive mix of skyscrapers, colonial buildings and temples. 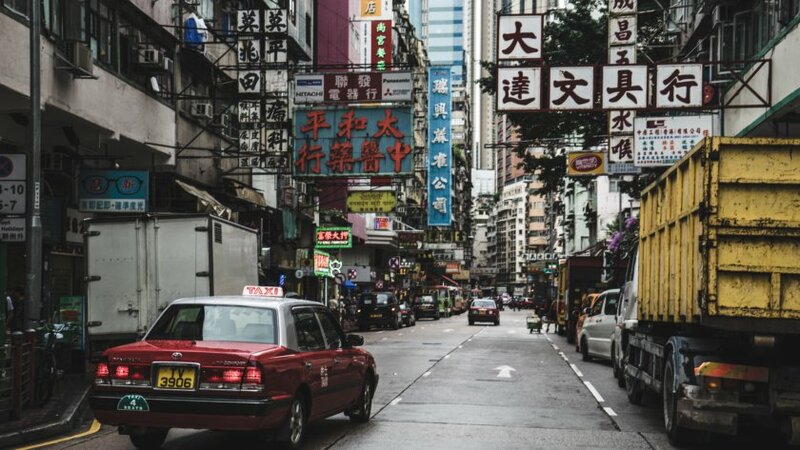 Hong Kong is fast-paced, hot and humid, overcrowded, with narrow streets, crazy taxi drivers, amazing food and a strange feeling of being in a Chinese version of an old European city. There is something here for everyone – from museums to beaches and island-hopping to the tranquil areas of the city outskirts. Hong Kong is so much more than just a futuristic-looking city; its Chinese cultural undercurrents are strong and make for a unique cultural experience. Believe it or not, lots of things to do and places to see are free, so Hong Kong can even be done on a budget. I’ve marked the free things to do throughout my list with an asterisk*! My list of 13 awesome things to do in Hong Kong provides you with a good starting point for what to see and experience, especially if it’s your first time in the city. 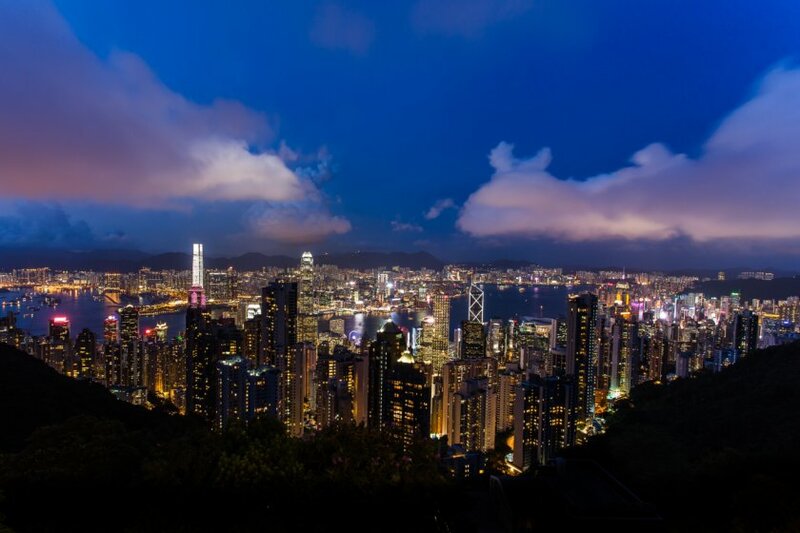 It will take you through many different districts with tasters for all Hong Kong has to offer. Let’s get going! 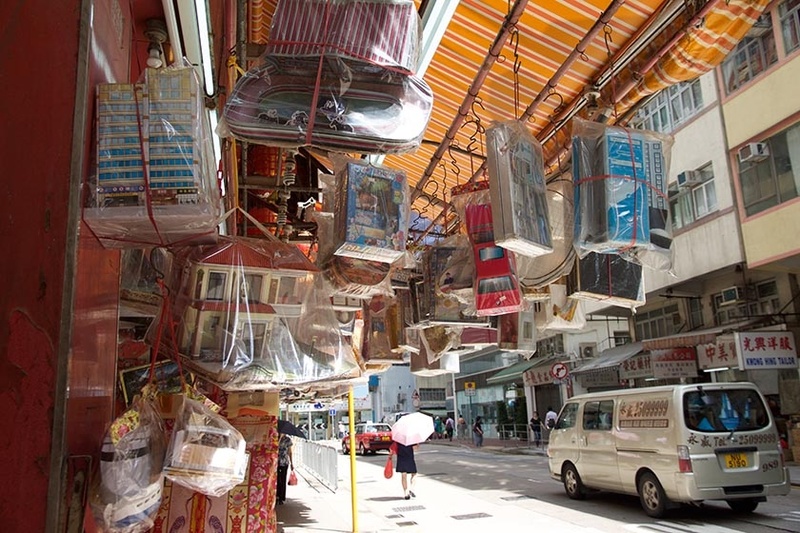 The Kowloon peninsula has an abundance of street markets, to the extent that certain streets are famous for selling one particular item, such as the Jade market and the Goldfish market. Be prepared to have your bartering skills well-tuned as the stall sellers play a tough game. The Jade Market is the best place to buy a traditional solid jade bangle and other jade jewellery. You will be overwhelmed by the array of jade on offer, but make sure you take some time looking around the stalls so you can get a good idea of prices and quality. The bird market (Yuen Po Bird Garden) is located in a purpose-built market where you can buy all sorts of bird paraphernalia and, of course, a bird. 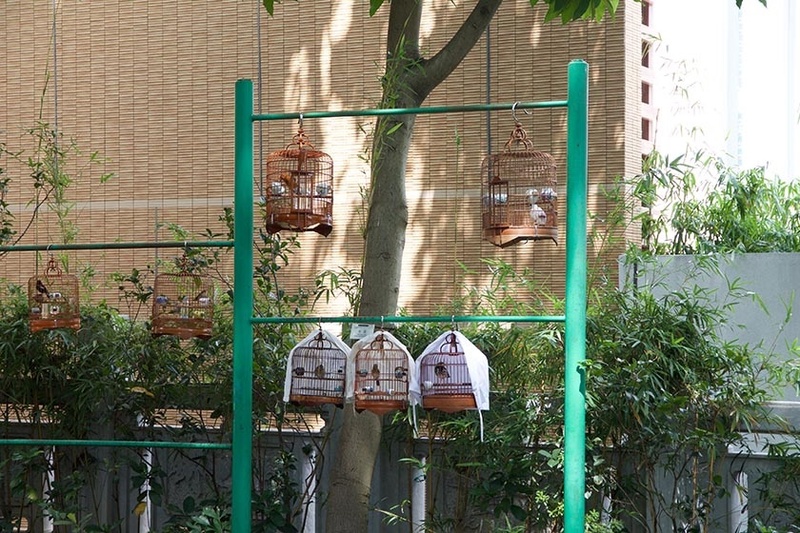 It is also where old Chinese people come and walk their little birds (in their cages) to give them some fresh air. On the way to the bird market is the flower market (Flower Market Road), which sells stunning bouquets at reasonable prices. There is also the Goldfish market (Tung Choi Street North) which is a whole street selling a variety of goldfish and is very popular amongst the locals, as goldfish are thought to be good for feng shui. On Hong Kong island, ‘chop’ alley (Man Wa Lane) is definitely worth a visit in the early stages of your visit. A ‘chop’ is an oblong seal with a Chinese motif on the top. On the bottom of the chop you can have your name engraved in Chinese characters. You would then use this to seal envelopes with your own wax seal. It will take the chop seller a couple of days to carve this for you. Dotted throughout the Hong Kong streets are Buddhist temples; in fact, there are dozens of them. They are all free to enter, but you should leave a donation if you want to light any incense sticks. The best temple that I visited was Man Mo on Hollywood Road, which is one of the largest and most beautifully decorated. The heady and intense smells of the incense sticks and the smoke emitting from the giant coils of incense hanging from the ceiling all blend together to give the interior of the temple an ethereal feel. If you enjoy visiting the temples, then a trip to the Chi Lin Nunnery is certainly worth a venture. This beautiful Tang-style modern nunnery exudes calmness in a sea of hustle and bustle. The nunnery is free to walk around and you could spend a good hour here just listening to the nuns singing, praying and walking around the temples and water features. 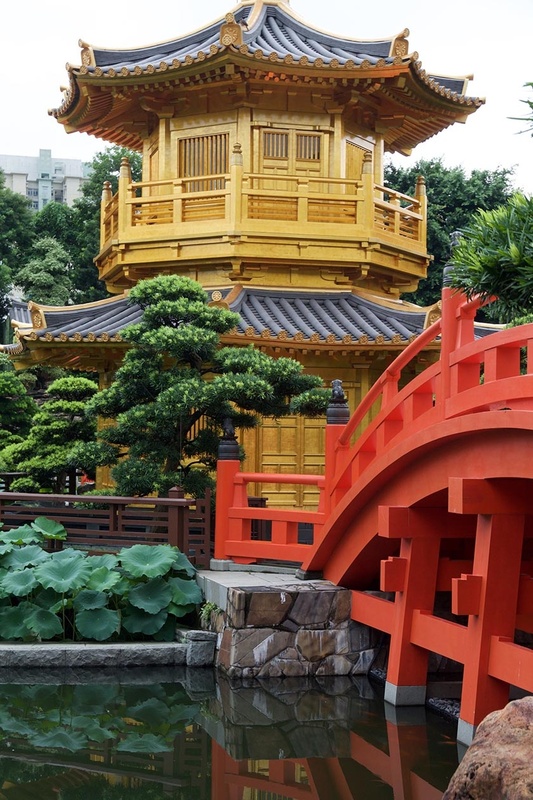 Attached to the nunnery is the Nan Lian garden, which you can access via a footbridge. This delightful oasis makes you feel as though you have stepped back in time with its pavilion, bridges and garden plants displayed in the traditional Chinese style. A wonderful place for a stroll. 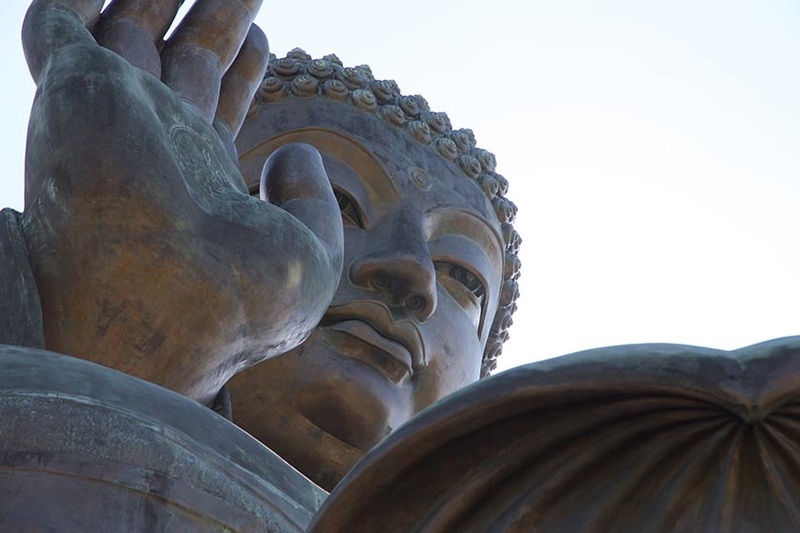 Take the Ngong Ping 360 cable car from Tung Chung to visit the Tian Tan big buddha statue and Po Lin Monastery. This is one of the top things to do in Hong Kong and is one of the main draws to Lantau island. The 25 minute cable car ride is exhilarating and you can see spectacular views of Lantau and across the sea to Hong Kong. Once you arrive at the top, there is a rather tacky tourist village where you can get something to eat if you wish. Most people just pass straight through here and make their way to the monastery. The monastery is beautifully decorated with bright colours and is famous for its Ten Thousand Buddhas Hall. After you have investigated the monastery you can tackle the steep steps up to the Tian Tan big buddha. At the top, you will see stunning views across Lantau, whilst staring at the enormity of the 34 metre statue itself. Locals visit this island to escape their lives in the big city; thus is has a bit of a hippie feel to it. You can reach the island via boat, which is another great opportunity to see Hong Kong island from a different perspective. There are lots of vegetarian restaurants and cafes in Sha Po village and little hippie shops selling clothes and teapots. Walk along the boardwalks to get to Hung Shing Ye beach, which is sheltered by lots of trees, but has a rather large view of the island’s power station. There is a very sweet herb garden called Herboland next to the beach which sells local herbs and vegetables – and their open air bar is well worth a visit. There are numerous art sculptures dotted around the city for you to gaze at, from bulls to giant mosaic pots. However, the best place to see some unusual sculptures is at the Sculpture Garden next to the Grand Hyatt Hotel on Convention Road. Here you will find bright red statues of people doing handstands and backflips in a lovely garden setting with a pond. After this you can pop into the Hong Kong Arts Centre next door for a drink in their Pumpernickel cafe. 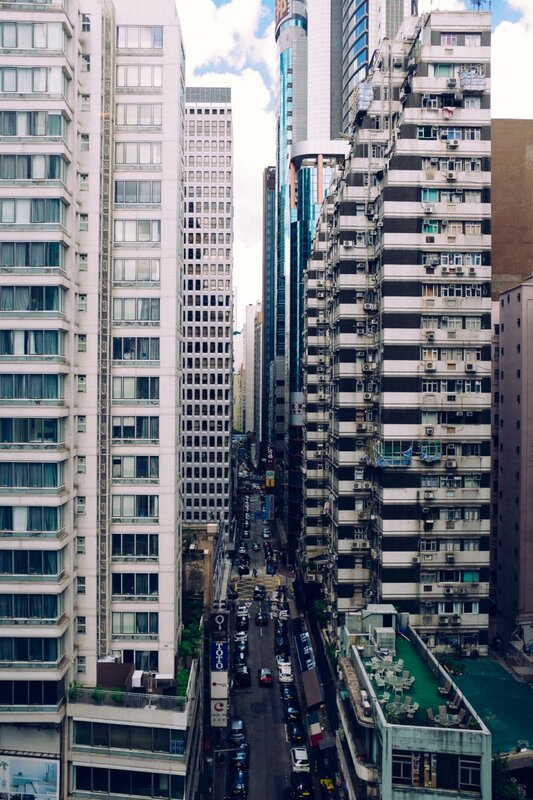 As mesmerising as Hong Kong is, sometimes it’s difficult to get a sense of perspective whilst you are wandering around the cramped little streets, surrounded by skyscrapers. Some of the best places to get a good view of the island are by the Forever-Blooming Bauhinia sculpture on the Expo Promenade which gives you great views across to Kowloon, Victoria Peak (either hike up the path or take the Peak Tram), the 360 cable car ride to Lantau Island and from the afternoon tea lounge at the Ritz-Carlton Hotel, where you can nibble on a chocolate-themed afternoon tea whilst looking at fantastic views across to Hong Kong island. For those of you who love flowers and plants, the public Hong Kong Park is an absolute must for you to visit. It features a wonderful bird aviary, a greenhouse housing exotic plants and cacti, mini waterfalls, ponds with terrapins and a small artificial lake. This is a great place to escape to after visiting the busy and crowded business district in which it sits. Also within the park, for the tea aficionados amongst you, is the Flagstaff House Museum of Tea Ware. Housed in a colonial building and exhibiting the history and evolution of tea ware, the main draw to this museum (apart from a great shop selling all sorts of tea) is the on-site tea room where you can select from a huge list of teas and drink them in the traditional Chinese style. 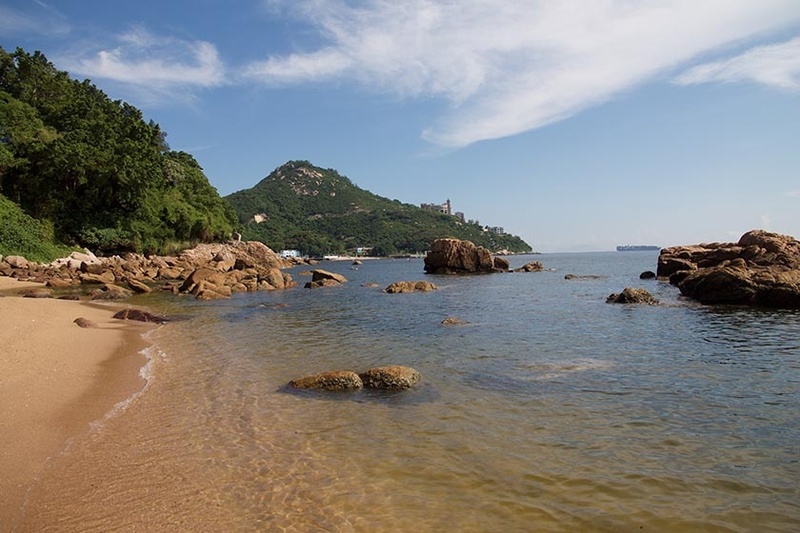 If you feel like you want a slower-paced beach day, then a trip to the southside of Hong Kong island to Stanley should meet your needs. 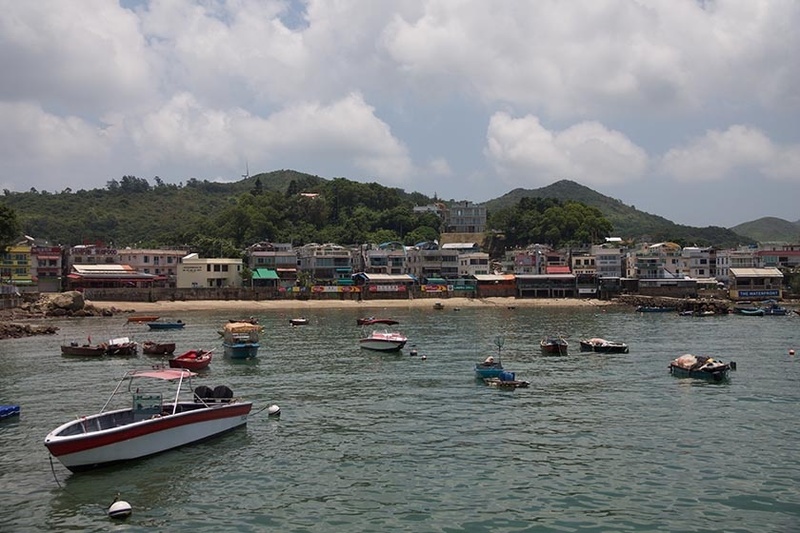 Stanley has a real seaside village feel to it, with a bustling, narrow market where you can buy shawls, chopsticks, prints and other knick knacks, plus plenty of cafes, ice cream shops and seafood restaurants for you to stop off in and re-energise. 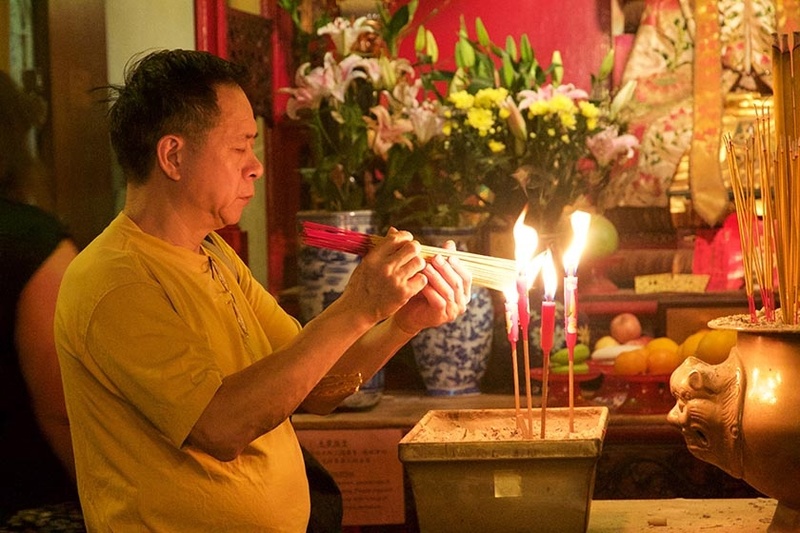 Several temples are located here, particularly the tiny Tai Wong Temple which is built into the rock and the Tin Hau Temple which houses an ancient drum. The beach here is long and has lots of large rock formations where you can sit and gaze out across the sea. Hong Kong has a great selection of galleries and museums that can be explored if you’d like a more traditional culture day. The Hong Kong Museum of Art houses mainly traditional Chinese works from paintings to jade and bronze objects. After you have indulged your artistic needs, take a walk down the Avenue of the Stars and see if you can spot the statue of Bruce Lee. Then make your way to the Hong Kong History Museum, which is an ambitious trawl through Hong Kong’s history from wooden junk ships to present day, touching on the opium trade and Japanese occupation in WWII to the handing back of Hong Kong by the British to China. Another little hidden gem is the University Museum and Art Gallery. This contains a diverse collection of ceramics and bronzes, as well as contemporary Chinese art exhibitions. Hong Kong has an abundance of interesting ways to get around the city, from its easy-to-use metro system to trams and local buses. However, to get the true Hong Kong commuting experience, you have to take a trip to Kowloon on the Star Ferry where you can see Victoria Harbour from the waters. 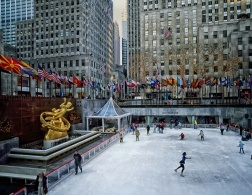 This is also a great way to see the mix of shipping culture and row upon row of skyscrapers. It’S also an especially fun thing to do at night when you can see all the buildings lit up in the sky. Another experience you have to try is taking a ride on Hong Kong’s outdoor escalator. The central-mid levels escalator is the world’s longest covered escalator. The escalators start at Queen Road Central, through SoHo and up to Shelley Street. These escalators are a godsend as these areas in Hong Kong are extremely steep and on a hot, humid day they really do save you a huge amount of time and energy. SoHo is a foodie’s dream, so make sure you stop off the escalator here and have a mosey around the restaurants. 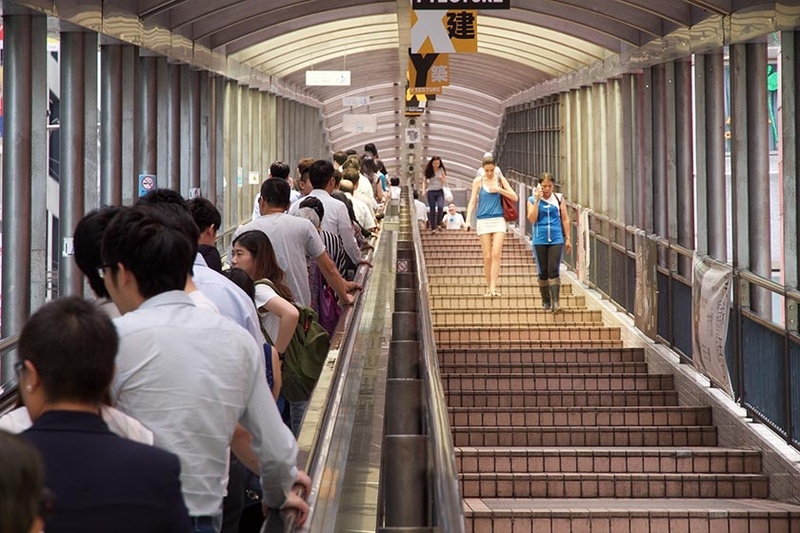 Plus travelling on an outdoor escalator on a pedestrian street just has to be experienced – doesn’t it? Upper Lascar Row (Cat Street) has a lovely flea market selling antiques and some interesting little art galleries. Stone Nullah Lane: Look out for the iconic blue house which is a 1920s block of flats; at the end of the lane is the Pak Tai Temple which has a 400 year old copper statue of the god Pak Tai. Queens Road West is a fascinating street with boutique shops selling gifts as offerings for the dead. You can buy anything from stacks of hell money and traditional paper offerings, to more modern afterlife items such as speedboats, microwaves and mobile phones. Bonham Strand West deals in traditional Chinese medicine and cuisine. 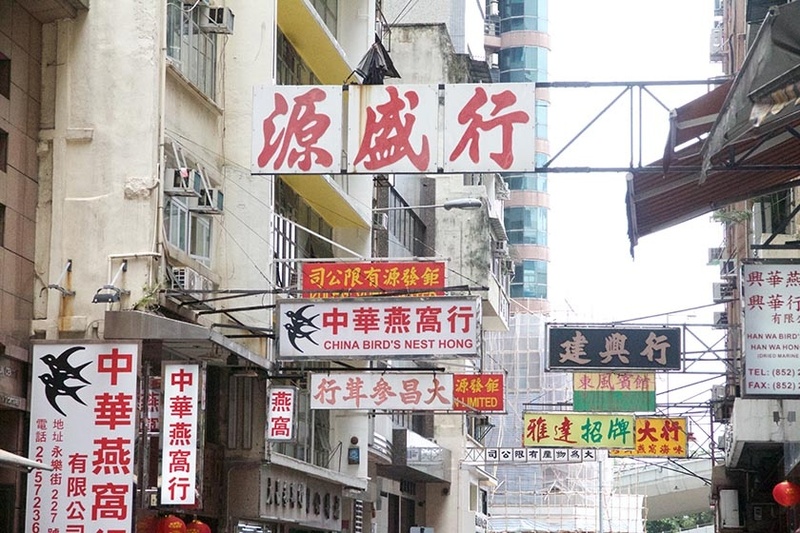 You will find copious amounts of shops selling dried antelope horn, shark fin and a variety of other sea creatures, alongside cafes selling traditional bird’s nest soup and abalone. It’s important to note that this street is the centre for the global trade in shark fins and many don’t like having photos taken of their shops. 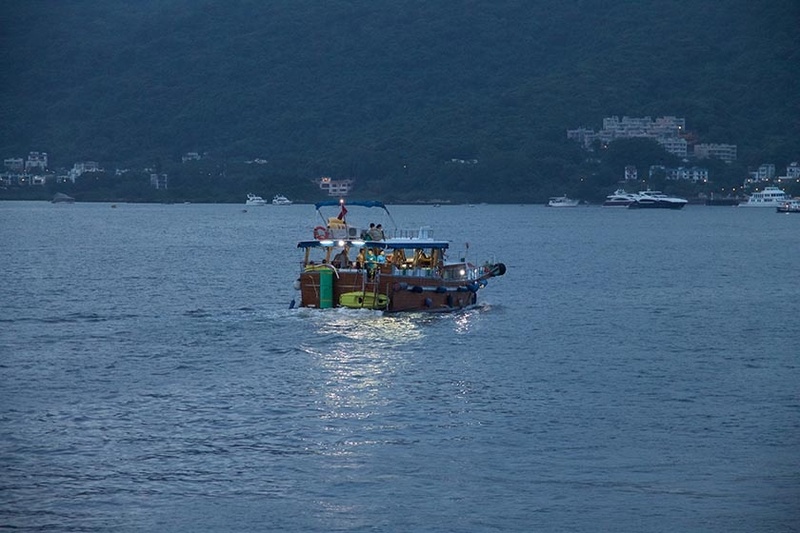 To try something truly unique and different in Hong Kong, you should go night squid fishing on an organised boat cruise. 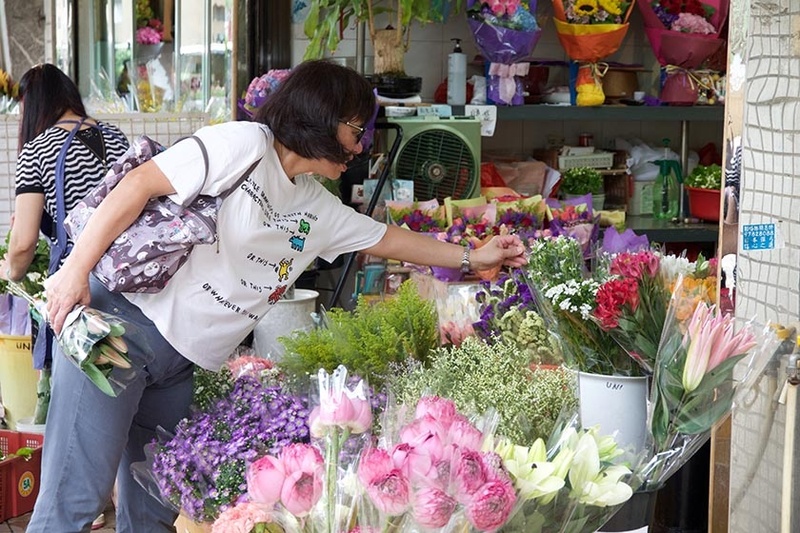 The most popular place to do this is at Sai Kung Town, which is a low-key tourist resort with lots of little fishing boats and fish restaurants along the harbour side. A key feature of Sai Kung is that the fishermen sell their catches from the sea front jetty, many never leaving their boats and hoisting fish and crabs in buckets up to buyers on the harbour edge. You can take a ferry ride from the jetty to Kiu Tsui Chau (Sharp Island), which has a very pretty beach at Hap Mun Bay. Squid fishing junk boat parties happen during the summer months and you are provided with a fishing line and reel, as well as a seafood buffet on the boat. Wear dark clothes because even though the squid may be small, they can spray you with quite a lot of ink! 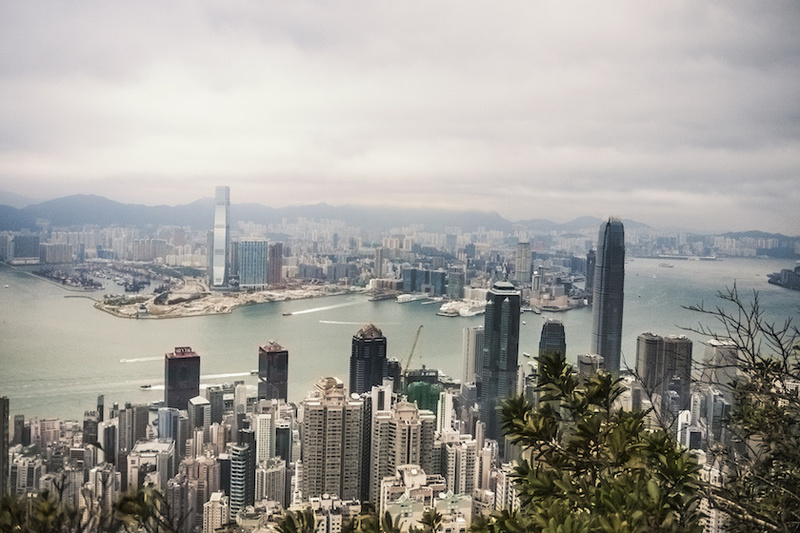 So, from this list you can see that there is so much more to Hong Kong than just the crazy metropolis and financial centre, and that it has a wonderful combination of urban and countryside, culture and shopping. I hope this list of things to do, see and experience inspires you to visit this fascinating island and make your own discoveries in the ‘Pearl of the Orient’. 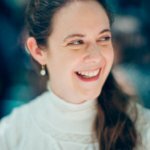 This is a guest post by Fiona Livingston. 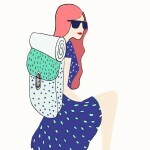 Fiona is a Londoner who is always looking to find new places to discover which are short hops over the English Channel. She mainly travels around Europe, but does enjoy venturing further afield, particularly to Asia and the Americas. She has a Geography degree which always comes in useful when some map reading is required! 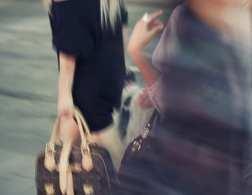 She enjoys photography, art, eating new cuisines, raiding vintage clothes shops and being outdoors. When not indulging in her hobbies, she works at a London-based art gallery managing the website. I loved these tips but as a local HKer born and bred in Hong Kong - still living there - it's all so touristy. I do love the specialist markets though!